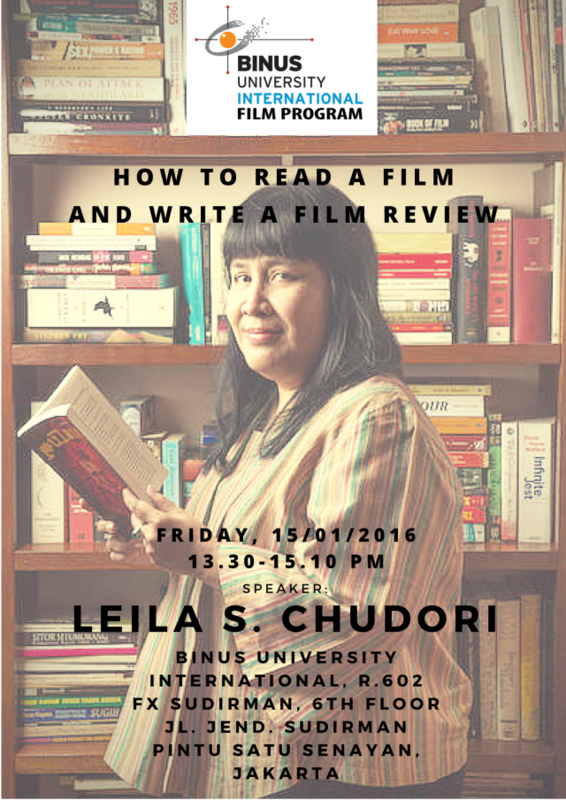 We are sorry to announce that Film Seminar Event with Leila S. Chudori as speaker this Friday (15/1) 1.30 – 3.00 PM is postponed until unspecified time. We will inform you the confirmed time of the event later at all our digital channels (Facebook, Twitter, and website). We are really sorry for this inconvenience. fX Sudirman 6th floor, Jl. Jend. Sudirman, Pintu Satu Senayan, Jakarta. Dear Binus International Fellow. We’re sorry to announce that Film Seminar event with Leila S. Chudori as speaker this Friday (15/1) 1.30 – 3 PM is postponed until unspecified time. We will inform you guys the firmed time of the event later. We’re really sorry for this inconvenience.